This was an excellent meeting in November and the synopsis of the event has been written up by Matt Miller and is on the oils and fats website. The group in collaboration with the Universities is planning a one day training session on the use of edible oils in the food industry. The date has been set for August 29th at Massey Albany. More details to follow as planning gets underway. Substances found in virgin olive oil and fish relieve the symptoms of pancreatitis, researchers in Spain said. Study author Maria Belen Lopez Millan of the University of Granada said oleic acid and hydroxytyrosol (the main polyphenol) — in a particularly high concentration in virgin olive oil — and n-3 polyunsaturated fatty acids found in fish relieve the symptoms of pancreatitis. The researchers evaluated the role of Mediterranean diet ingredients in the prevention and mitigation of cell damage — specifically how fatty acids and antioxidants affect the cellular mechanisms that respond to local inflammation in the pancreas. The findings, published in the journal Proceedings of the Nutrition Society, found oleic acid and hydroxytyrosol can be considered potential functional ingredients — products people may consume to increase their health and/or contribute to reducing their disease burden — because they might prevent or mitigate the disease. Most of the clinical effects being reported are due to the polyphenol content of Extra virgin olive oil, not refined olive oils. 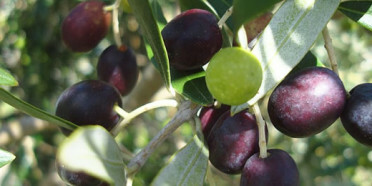 These latter oils, are hanging on the coat-tails of the positive reports about EV olive oils. Extra-virgin olive oil is a ubiquitous ingredient in Italian recipes, religious rituals and beauty products. But many of the bottles labeled “extra-virgin olive oil” on supermarket shelves have been adulterated and shouldn’t be classified as extra-virgin, says New Yorker contributor Tom Mueller. Oils and fats news covered this several years ago. The Italian fraud squad recently announced they were investigating allegations that the country’s largest olive oil producers have adulterated Italian oil with cheaper imports from Spain, Greece, Morocco and Tunisia. While this investigation has just come to light, fraud in the Italian olive oil industry is very old indeed. Amphorae used to store olive oil in ancient Rome display several anti-fraud measures, including clear labeling and a primitive form of “traceability”. With the global appetite for olive oil on the increase, unscrupulous producers are meeting the demand by mixing in cheaper oil from Greece, Spain, Morocco and Tunisia and passing it off as top-end extra virgin oil. Mueller found that fraud was extensive, particularly adulteration and false labeling. The world’s largest former dealer in olive oil, one Domenico Ribatti, plea-bargained his way to 13 months in prison during the 1990s for passing off Turkish hazelnut oil, which he had refined in his own plant, as olive oil. Another prominent importer, Leonardo Marseglia – appropriately based in a town called Monopoli – has variously been accused of selling cheap non-European oils as Italian ones, fudging documents to shirk import tariffs and forming a criminal network to smuggle contraband. Italian producers are not only conning consumers in lucrative overseas markets like the UK – the fake stuff is also being bought by unsuspecting Italians. The stakes are high – Italy is Europe’s second largest producer of olive oil after Spain and the Italian olive oil sector is worth an estimated five billion Euros a year. Investigators became suspicious when they noticed that Italy was importing more olive oil than it was exporting – 470,000 tonnes against 250,000 tonnes – prompting questions as to where the imported stuff was ending up. The fraud has been uncovered by an investigation involving the Italian customs service and police from the Guardia di Finanza, or fraud squad, with the encouragement of Coldiretti, one of the country’s biggest agricultural organisations. The fraud was being organised by a “cartel” of importing and distributing companies, Mr Masini said, most of them operating in central and southern Italy. Apparently a shortage of butter in Norway is leading to an increase in smuggling from Sweden. Nefarious criminals have been caught with 250 kg of butter in their cars on crossing the border. The prison sentence involves having to eat margarine. Why not get lovely NZ butter from Fonterra? A link between a high-fat diet and brain damage has been discovered by a team of American scientists, according to a study published in The Journal of Clinical Investigation. The study showed that suddenly switching rodents to a diet high in fat led to inflammation in the hypothalamus, the part of the brain that controls body weight. The hypothalamus, which regulates bodily functions such as hunger, thirst, sleep and body temperature, uses leptin to suppress appetite. In humans, leptin is produced in white adipose tissue or “white fat”. “So you have a situation where if you have an inflammatory response in the hypothalamus you need more leptin to do the same job, and the only way to have more leptin is to have more fat,” stated lead researcher Dr. Michael Schwartz. Another reason to avoid high saturated fat and trans fat diets is recent work showing that the risk of Alzheimer disease is increased by a high intake of these types of fats. Just as tastes such as sour, sweet and bitter are detected in the mouth, scientists believe they’ve found a gene, CD36, linked to the perception of fats. “The ultimate goal is to understand how our perception of fat in food might influence what foods we eat and the quantities of fat that we consume,” said researcher Nada Abumrad of the Washington University School of Medicine in St. Louis. The research was published in the Journal of Lipid Research. Although fish oil reduces serum triglycerides, serum levels of HDL and LDL cholesterol are increased through supplementation with algae-based docosahexaenoic acid, according to a review and analysis by Harvard University and the Cleveland Clinic. “Because particle size, in addition to lipoprotein cholesterol content, may help predict atherogenic risk, the net effect of algal DHA supplementation on serum lipoproteins and lipids may be beneficial despite the increase in LDL-cholesterol,” the researchers write. Brisbane-based food technology start-up, Progel Pty Ltd, is set to milk a share of the crowded dairy and juice markets with the world’s first non-fermented, multi-strain probiotic drink products. Progel is a Brisbane-based start-up initially formed by UniQuest Pty Limited, with investment from UniSeed and Brisbane Angels, to commercialize an encapsulation technology developed Professor Bhesh Bhandari at The University of Queensland‘s (UQ) School of Agriculture and Food Sciences. The Progel technology will also enable the creation of omega-3 milk and juice with up to four times the omega-3 of existing omega-3 milks, but without the fishy smell and taste. Cargill’s arachidonic acid-rich oil, fermented by the Mortierella alpina I49-N18 fungus, has been authorized as a novel food by the European Commission for use in infant formula and follow-on formula (formula for older children) under Commission Directive 2006/141/EC. ARA is an omega-6 long-chain polyunsaturated fatty acid that is a natural component of a human mother’s milk. It is considered important to infant brain and vision development when supplemented in infant formula along with the omega-3 LC-PUFA docosahexaenoic acid, at an approximate ARA: DHA ratio of 2:1. The ARA oil achieved GRAS — Generally Recognized as Safe — status from the U.S. FDA. Danish company Palsgaard (agent Hawkins Watts NZ) has just opened a $30M (20,000 tonne) facility in Malaysia for emulsifiers. The end use will be for ice cream, baked goods and spreads. The company already has a research facility in Singapore. the new production plant will make the operation complete.